HANOI – Despite its slowing growth over the previous years, Vietnam is still expected to be among the world’s 20 largest economies by 2050, according to professional services firm PricewaterhouseCoopers (PwC). According to PwC, Vietnam’s GDP (adjusted for Purchasing Power Parity) in 2050 will reach US$2,715 billion. In comparison, the United States’ GDP in 2050 is predicted to be US$37,998 billion. The World Bank has also predicted that Vietnam, along with China, India, Indonesia and South Korea, will be among the world’s strongest economies in 2050. 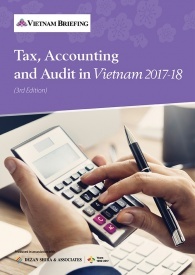 Vietnam’s future growth is predicated upon factors such as the country’s large population and growing consumer class, both of which are made up of an increasing number of young people. The country’s youth are also steadily gaining access to more and more educational opportunities. Additionally, Vietnam will be aided by the fact that the country is rich in natural resources and commodities. The pace of change in Vietnam has seen significant acceleration over recent years. A prime example can be seen with respect to the internet. Just 14 years ago, the country’s internet penetration only amounted to around 200,000 people; however, currently this number is estimated to be 32.6 million. The growth is expected to continue its fast upward trend in the coming years. This vast increase in online users has opened up a range of new market opportunities both for local companies in Vietnam and for foreign companies looking to take advantage of this emerging market. The country’s large youth population, who are increasingly tech savvy, also provides a large employment pool for high tech companies who are moving to Vietnam. In addition to Vietnam, other nations which may make it into the list of the top 20 economies include countries from the groupings MINT (Mexico, Indonesia, Nigeria, and Turkey) and CIVETS (Colombia, Indonesia, Vietnam, Egypt, Turkey and South Africa). All these countries are expected to see healthy growth in the future due to their dynamic economies and large youth population. 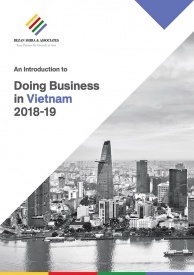 While the future of Vietnam appears to be rosy, there are a number of reasons why the country’s current business environment is still attractive to foreign enterprises. 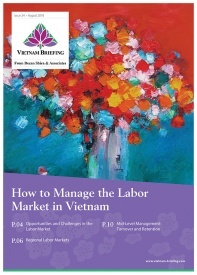 Vietnam’s labor costs are currently 50 percent those of China and around 40 percent of those reported in Thailand and the Philippines. The country’s workforce is seeing an annual increase of 1.5 million people, and its workers are young and, increasingly, highly skilled. The country also continues to remain a low cost manufacturing hub that provides good financial incentives to foreign companies. Vietnam is also continuing to improve its infrastructure. The country has recently issued a call for US$58 billion in foreign investment to fund a number of projects. The majority of the funding will go to infrastructure and agriculture projects. An abundance of natural resources is also helping to fuel the manufacturing boom in the country. 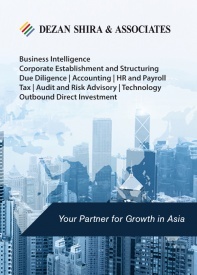 Additionally, general costs of doing business, such as rent and utilities, are among the lowest in Southeast Asia. It’s a member of ASEAN, the Association of Southeast Asian Nations, which is an incredibly significant market with a combined population of over 600 million people and a combined GDP of about US$2.1 trillion dollars. 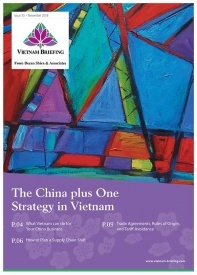 Finally, with its strong connections both in the Asia region and in the West, Vietnam is well positioned for any company pursuing a China +1 strategy. As China will gradually compete on quality products with EU and US, Vietnam will become an increasingly preferred destination for off-shore production. 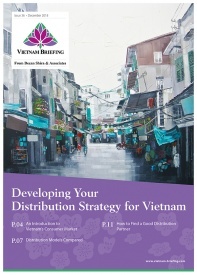 However, rising costs in logistics operations may slow Vietnam’s growth. The World Bank has issued a number of recommendations for Vietnam, which the country is attempting to follow. These include minimizing the paper-based processes involved with clearing products for import and export. In addition, Vietnam will move forward on creating “multimodal logistics corridors” which will provide the needed infrastructure to allow containerized flows of trucks and barges to move throughout the country with minimal regulatory delays.